We’d love your help. Let us know what’s wrong with this preview of After the Kiss by RaShelle Workman. WARNING: Before you go any further, please don't read AFTER THE KISS unless you've finished the entire first season of Blood and Snow. There are spoilers and I don't want to ruin the exciting conclusion of the first season for you. Blood and Snow volumes 1-12 ~ Snow White with a Vampire twist. Cindy Witch ~ A rescue mission told from Cindy's point o WARNING: Before you go any further, please don't read AFTER THE KISS unless you've finished the entire first season of Blood and Snow. There are spoilers and I don't want to ruin the exciting conclusion of the first season for you. Cindy Witch ~ A rescue mission told from Cindy's point of view. The Hunter's Tale ~ The story of the Hunter going in search of the True Vampire after hearing a revelation that speaks of the end of the human race. Gabriel ~ Keeping the peace between humans and magical creatures is a job Gabe never wanted. As the leader of the Chayot--considered by some to be Angels--he doesn't have a choice. 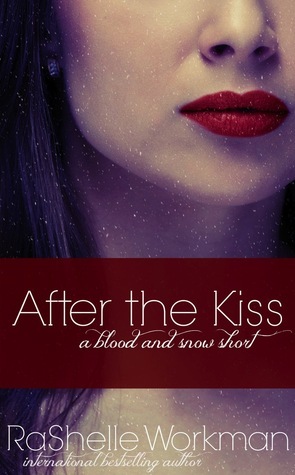 After The Kiss ~ Snow is with her true love but is it happily ever after? To ask other readers questions about After the Kiss, please sign up. Another good short story. The unknowns are back and they are not finished. They want more and to do that they are brining back Sharra.